Dane County is making plans to drastically improve solar energy resources through a $2.4 million solar initiative and plans to open a new energy-focused office as part of the 2017 Capital Projects Budget. The county plans to purchase and install solar panels at the Alliant Energy Center and Dane County Job Center in Madison. These new panels would be built in addition to the already existing panels at the Dane County Regional Airport and East District Campus to help power county buildings. Dane County Executive Joe Parisi said an important part of addressing climate change is proactively reducing greenhouse gasses. Parisi said he would prefer to see the county funds on increasing the state’s solar capacity instead of purchasing out-of-state fossil fuels. 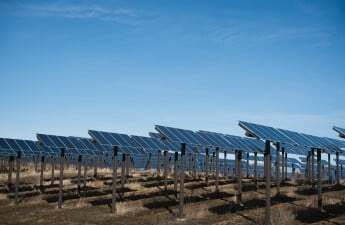 The new installations could generate up to 770 kilowatts of solar energy, which could power a laptop for almost 11 years or a Wisconsin home for a little over a month, according to the project outline in the budget proposal. The combined systems are expected to reduce carbon dioxide emissions by 777 tons annually. 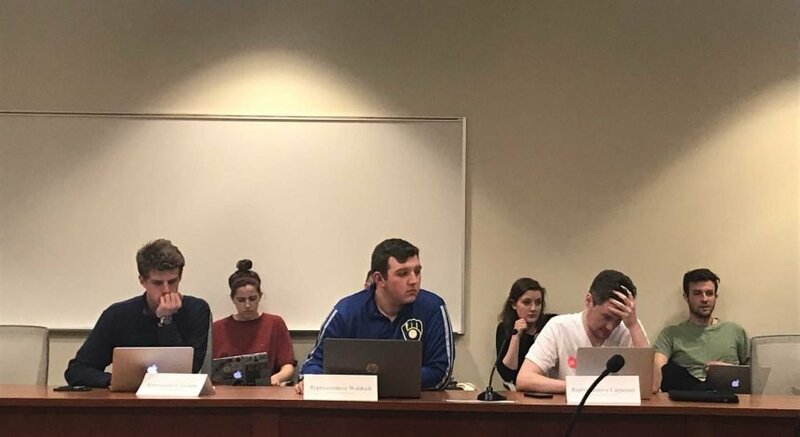 Though Wisconsin does not have a large fossil fuel industry due to the lack of fossil fuel resources, Parisi said they still are a major contributor to climate change due to emissions, and also draw money out of the state. 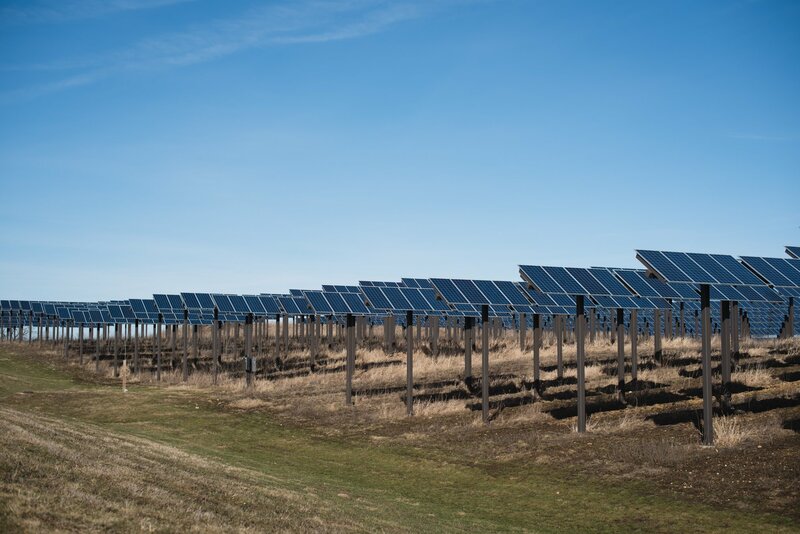 “[Increasing solar energy production will] not only result in saving taxpayer dollars on utility bills and will not only cut down on greenhouse gases, but it will take that investment and invest it right here in Wisconsin workers,” Parisi said. The initiative is projected to pay for itself in 20 years, saving approximately $87,000 in electricity costs in its first year, according to the proposal. The plan is a part of the 2017 budget, but Parisi said they aren’t sure whether the panels will be installed right away. The two main costs of the projects are planning and construction. Another component of the proposal is the creation of the Office of Energy & Climate Change. The office would work with local government, business and nonprofit entities in “coordinating and developing programs to reduce local climate change emissions and mitigate the impacts of climate change,” according to the budget proposal. The office would be responsible for creating a county-wide climate change action plan that would specifically set emission reduction targets and allow for coordination with other groups on climate change initiatives. From the 2017 executive budget, $145,350 would be assigned for program expenses in operating the new office. The city of Madison is also making strides in promoting renewable energy use by creating its own solar initiative over the past several years. Ald. Mike Verveer, District 4, said Madison’s budget also includes funding for solar projects. “Renewable energy sources are obviously an area that needs to be made a priority,” Verveer said. Enrollment for a household solar power program called MadiSUN Solar Group Buy, which was created through the city in June, has exceeded expectations. The program aims to help people interested in installing rooftop solar systems, Katie Putz, RENEW Wisconsin spokesperson, said. 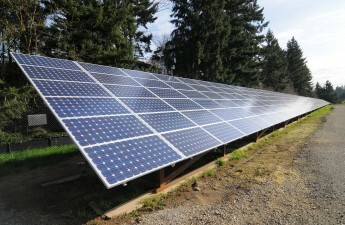 RENEW, a nonprofit organization which promotes clean energy strategies, hosted information sessions throughout the summer and provided online resources to generate interest in the project. About 450 households signed up to get more information about household solar energy options, Putz said. At least one panel has been installed and 18 contracts have been signed for homes in Madison, but it takes time to order the panels, and some installations will not occur until late this year or early next year. The Dane County budget proposal is currently being reviewed by various county committees. Parisi said he hopes the proposal will arrive before the county board to be approved by the first week in November.